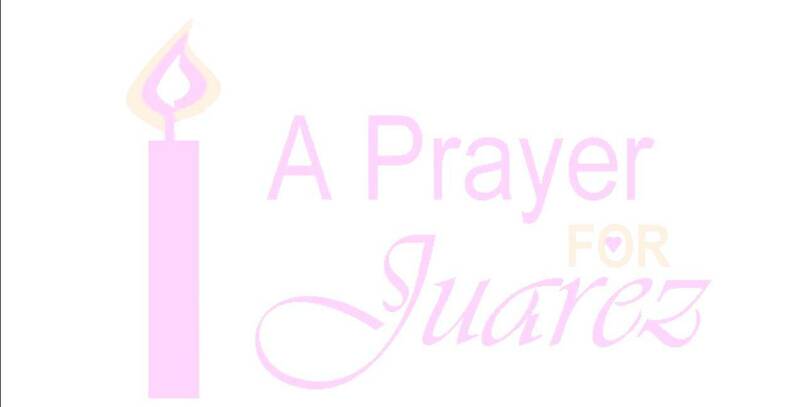 Last weekend of art activism– A Prayer for Juarez closes. This Friday and Saturday doors open at 7:15pm for final viewing of the protest art exhibit. Casa 0101 Annex, 2102 1st Street, Boyle Heights. All events are FREE! Saturday, March 27, Award Winning Reporter Diana Washington Valdez updates us on the latest from Ciudad Juarez, from an insider’s point of view. Starts at 8pm. Diana Washington Valdez, an investigative reporter for the El Paso Times, has covered the murders in Ciudad Juarez since 2001. In her book The Killing Fields: Harvest of Women, Washington Valdez contends the killings are part of a circuit of parties hosted by prominent Juarez citizens. 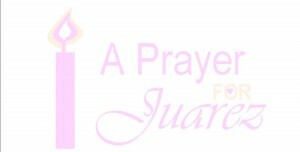 Former FBI official Frank Evans said, “Diana Washington Valdez is a witness to the truth.” Ms. Washington Valdez has taken the message about the femicides in Ciudad Juarez to 30 cities in the United States and other countries. She is featured in the documentary Border Echoes, produced by Lorena Mendez Quiroga of Los Angeles and in Bajo Juarez by Alejandra Sanchez and Jose Cordero. Both films feature author Washington Valdez’ examinations of the Texas-Mexico border atrocities. Diana Washington Valdez has been interviewed for features on CNN, the New York Times, Aljazeera, Televisa, Channel 4 (London, England), and other news media. Washington Valdez received the Texas Associated Press Management Editor’s 1st Place in 2002 for her series “Death Stalks the Border” (a Pulitzer Prize nominee). Nicaraguan Vice President nominated her book The Killing Fields: Harvest of Women/Cosecha de Mujeres (in Spanish) for the Ulysses Lettre Award. In 2009 she received the Crossing Borders Award, in 2008 the National Association of Hispanic Journalists Frank del Olmo Award, in 2008 the Samuel Chavkin Integrity in Journalism Award, the League of United Latin American Citizen’s Special Commission Award, the Texas Civil Rights Project Speak Truth to Power Award, the Congressional Hispanic Caucus Latina Leader in Literature Award, and the Texas Social Workers Justice Award. Over the years, she has continued to receive numerous journalism awards and recognitions for other stories and investigations. Her book The Killing Fields: Harvest of Women/Cosecha de Mujeres is an explosive work that exposes the Mexican killing fields that have claimed the lives of hundreds of women at the Juarez, Mexico border. Washington Valdez’ dangerous investigation reveals high-level corruption, and a drug cartel run amok. Hollywood took note of her heroic journalism and produced a movie starring Jennifer Lopez and Antonio Banderas written from a Texas journalists’ viewpoint. Exclusive material, including FBI interviews and insider investigations puts The Killing Fields: Harvest of Women/Cosecha de Mujeres at the frontlines in the inquiry on the murders in Juarez. Diana Washington Valdez is the true expert on these ghastly border crimes. The Killing Fields: Harvest of Women/Cosecha de Mujeres is the first nonfiction book in the English language that has attracted international attention for the victims of Ciudad Juarez. Diana Washington Valdez promotes a scholarship fund for girls and women of Ciudad Juarez, Mexico. Currently she is working on two new books Mexican Roulette: Last Cartel Standing and The Desert Deaths with co-author Trish Long. Her essays about the femicides have been published in Italy, Mexico and Spain. Washington Valdez has provided testimony for asylum petitions and briefings for U.S. and Mexican officials about the women’s murders. There will be copies of her book The Killing Fields: Harvest of Women/Cosecha de Mujeres for signing. This entry was posted in Analysis, art, Blogs, Books, boyle heights, culture, East Los, Eastside, Events, history, Photos, Politica, Rant by Victoria Delgadillo. Bookmark the permalink.